Invigorating, exfoliating treatment for hands, feet and body. This hydrating and skin-conditioning treatment begins with an aromatic foot soak. 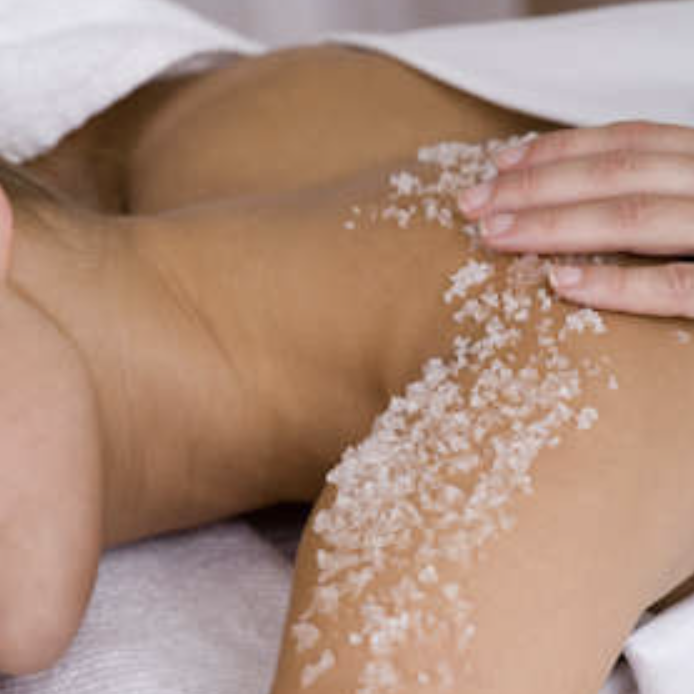 Exfoliating sugar or sea salt scrub will revive rough, dry skin by removing dead skin cells and calluses. Complete your relaxing experience with a hydrating oil application, leaving your skin softened, sweetened and beautifully fragrant. Choose from Rare white Grapefruit, Champagne and Roses, or Hot Chocolate. This heavenly scented scrub will leave your skin feeling ultra smooth and soft from natural exfoliators like sea salt; re-energize with the refreshing aromas of lemongrass. Buff your skin to perfection with raw sugar cane granules and organic coconut oil. This scrub contains high levels of antioxidants and hydrators to restore skin leaving it soft and supple. Begin with a warm footbath, followed by a gentle body exfoliation and a light massage with a blend of rosehip seed and rose essential oils. Finish with a mini facial. Sea salt and honey blend gently exfoliates dead cells, purifies and hydrates, leaving your skin feeling fresh, smooth and glowing. Complete this treatment with an application of organic sunflower or coconut oil.